Potholes can feel like the unavoidable bane of any driver’s existence — they’re easy to find and hard to miss. But a new pothole detection technology might change that. The new Ford Focus will spotlight this new technology that will minimize the damage that a pothole might cause. The new Ford Focus will feature a new advanced suspension technology that will adjust to potholes when the system detects them. 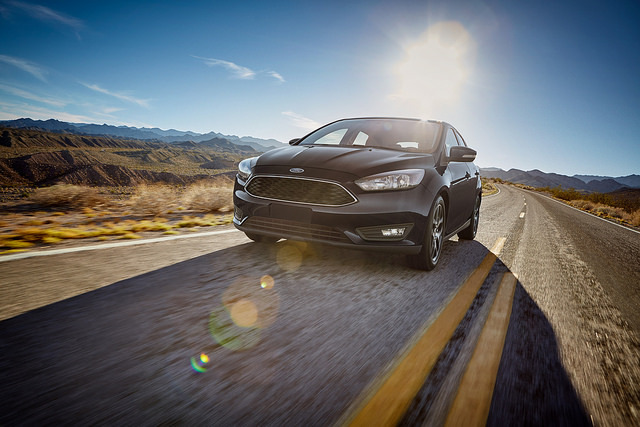 This technology comes with the Ford Focus’ Continuously Controlled Damping system. The pothole detection technology was tested on the ultimate pothole challenge — a test road at Ford’s Belgium test facility which is built with extreme potholes and other hazards on the road. If the pothole technology succeeded on this challenge, it’s sure to make a big difference when used on the average road. The 2019 Ford Focus compact car should go on sale sometime in 2019. The brand will likely offer it as both a four-door sedan and a five-door hatchback. In addition to its advanced pothole detection technology, it boasts an attractive new design, a more spacious interior, and additional driver-assist technologies. For more information about this creative Ford contribution to driving safety, contact us at Tropical Ford.